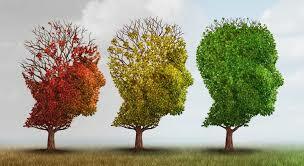 This is the fifth and final blog post in this series on Alzheimer’s disease. I hope you’ve enjoyed reading these, and I hope that you’ve benefitted from some excellent health insights that will serve you well over the next few years. The information contained has all been taken from research in universities and hospitals around the globe. It has also been subsequently published in reputable medical journals around the world, which is an excellent filter that ensures that only quality research makes the grade. In this blog post, you’ll read about how to put this information into action. The first step you can take is to incorporate these foods into your diet on a regular weekly basis. More fish, coconut and turmeric on a regular basis is an excellent place to start. If your diet has been deficient in these foods for years, or for someone who is already experiencing some memory challenges, it may be a good idea to go down the health supplement route. The good news is that all of these foods are readily available in supplement form in your local health food shop. The problem is that there are so many brands out there, that people are unsure which one to get. I’ll give you some pointers now on how to select the best ones. Fish Oil. The active ingredient in fish oil that has been found to be most beneficial for your brain is called DHA. When comparing brands, you can check the label at the back of the box or bottle, and it will tell you how much DHA is in each capsule. There can be a large variance in DHA levels between brands, so go for the one that contains the most DHA per capsule. That’s a good place for you to start. Turmeric. You may remember from the third blog post that the active substance in the turmeric herb that has a positive effect on your brain is called curcumin. The turmeric supplements may be labelled as turmeric or curcumin. You want to look for a supplement that has the highest amount of curcumin per tablet on the label. There is also a second factor to consider here. Curcumin is absorbed into your body much better in the presence of black pepper. So you want a supplement that contains black pepper too, to ensure that your body benefits from the absorption of as much curcumin as possible. Coconut Oil. This is available in a jar or capsule form. Some people like to use it directly from the jar. Some people find that a bit unpalatable, and prefer to take it in capsule form. Again, check the label at the back to see how much coconut oil is in each capsule. You can take any of these supplements, or some people take a combination of two of them, or even all three. Many patients ask how much of each of the supplements to take. Well there are no hard, fast, or definitive rules for this. It’s best to follow the directions on the label for each supplement. I tell patients that the most important thing is to start taking the supplements. Don’t expect immediate improvements in the first few days, weeks or months. It takes about 6 months for the levels of fish oil to build up in your system. Remember for turmeric, it took about a year for the patients in that study to begin recognising their family again. When you commit to taking one or more of these supplements, you really need to stay with them for the long-term. If you get a month’s supply and then stop, don’t expect to see results like the very positive results that patients saw in the studies that we’ve looked at in this blog post series. Your health is something that needs to be managed on an ongoing basis, not just for a month. When you commit to taking them for the long term, you can be happily confident that they are making real positive changes to your brain and your body. If the tissue in your brain starts to degenerate, you get diagnosed with Alzheimer’s disease. If the tissue in your eyes starts to degenerate, you get diagnosed with macular degeneration. If the tissue in your joints starts to degenerate, you get diagnosed with osteoarthritis. By preventing or minimising this tissue degeneration, you can prevent many of these age-related illnesses that can plague us as we get older. I hope that you’ll take onboard and implement the knowledge in this blog post series. It works. I wish you the very best in your health journey over the next few years to a very happy, healthy and active period in your life !